In the office building directly North of Macy's Grocery Store on 36th Street. The Angel Chaparro State Farm Insurance office in Ogden, UT provides our customers with great value on auto insurance, home insurance, life insurance and more. 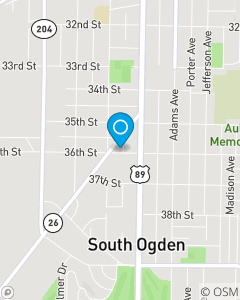 We make auto and home insurance in Ogden easy. We also are able to prepare our customers for the future with life insurance and financial services. Stop in our office today to see how we can help you and your family!